I am posting a recipe after nearly a week. There is no particular reason behind it. Its just that I am nearing the 50th post and i wanted the next two posts to be special. But today I had to post this as today is a special day for me. Its my 2nd wedding anniversary and Rasmalai is my hubby's favorite dessert. Before marriage I had never tasted Rasmalai. The sweet shops near my home never kept this sweet even though it is so popular. But after I got married I got to taste it many a times from the famous Brijwasi Sweets in Mulund and I absolutely loved it. When we came to US i made many attempts to create this sweet dish at home. I tried different methods like using the instant mix, readymade rasgullas and also from scratch. But all of them failed. The ready-to-eat frozen ones were quite good but the rabdi was too thick and it had a different taste from the ones we used to eat in Mumbai. One day I thought of giving it a final try and this time I chose Vah Chef's recipe. I am thankful to myself for choosing his recipe. My rasmalai turned just perfect. One thing that we have noted is that these rasmalais taste best after 2-3 days when the ras gets nicely absorbed into the malai balls. Take a pan with a heavy bottom. Add the milk. Bring it to a boil and simmer till it reduces to half its original volume. Then add sugar to obtain desired sweetness. Finally add the powdered dry fruits. When it curdles completely(whey water is clear) switch off the flame and immediately add ice cubes. Then strain this through a muslin cloth or a new handkerchief. Wash the paneer well. Squeeze as much water from it as possible. Tie a knot to the cloth and hang it for about 20 mins. After 20 mins take the paneer and rub it well. Then knead it like a chapati dough. Make small smooth balls of about 1 inch diameter and slightly flatten to make discs. Makes around 12 discs. Boil water with sugar in the ratio of 6:1. I use a very small katori (less than 1/2 cup) of sugar and 6 katoris of water. When sugar has dissolved and the mixture starts to boil add the discs and cover with a well fitting lid. Keep the flame on high throughout. You can make it in 2-3 batches and the discs double in volume. After 5 mins open the lid and carefully transfer the discs into lukewarm water. Then squeeze the discs slightly and transfer into rabdi. Refrigerate for atleast 1 day for best results. What I usually do is make the malai balls at home and use the Gits Rabdi mix for making the rabdi. In this manner Rasmalai gets ready in a jiffy. I have tried this with 1% and 2% milk also and haven't noticed much difference in the taste. My hubby says that my rasmalai tastes even better than the Brijwasi ones. Now that is the best compliment that I have received till date. 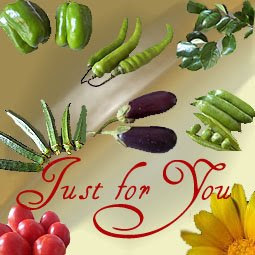 I am dedicating this post to my dearest hubby and sending this to Just For You event at Alka's blog. Asha, he is indeed great. And his recipes are always a success. Hey first of all Happy Anniversary! The recipe is easy i think,never made it at home will surely try.Enjoy! Wish you a happy wedding anniversary Namrata..and advance wishes for your 50th post! !Isn't it amazing that we try out different recipes for our loved ones?I'm sure your hubby loved the home-made rasmalai made by his wonderful wife,isn't it? Do give it a try. It is quite easy. I am sure you will love it. Thanks for your wishes and sweet words. He enjoys it every time I make it and I like to see him enjoying his favorite dessert. First time here...You have a nice blog....Rasmalai looks great...nice presentation....Happy anniversary! Rasmalai, aaji varek ghar karni...you made it look simple...would love to make some at home too!! TC! Thanks for your sweet words and wishes. Ek time kornu pale...its very easy. Use the rabdi mix for the rabdi if you don't want to spend a lot of time in reducing the volume of milk. Well looks yummy! I still hv to try this.